The male chaffinch with his resplendent colouring and melodious song would be a most welcome guest at any garden feeding table yet they are often conspicuous by their absence. I spent many happy hours watching the to-ing and fro-ing from my bird tables and often wondered why chaffinches were not a common feature, just an infrequent guest. I decided to do some research to see how I could fix this. It is no great surprise to find that one of nature’s beauties is attracted to a particular habitat depending on what nourishment there is available. As he is predominantly a seed eater, a variety of his favourites should be the first step in enticing him. He feels most secure when concealed from sight in amongst branches or thick bushes. High trees not only offer him a perfect nesting place for his mate and young but amongst their branches he will find the spiders and insects needed to supplement his diet through the colder periods. Climbing plants that bear berries will attract him too. He is shy and easily intimidated. If your garden is a pigeon and other bully bird free zone then he will come. Offer plenty of high tables and covered feeders away from cats and other predators and he will make your garden his own. That’s how simple it is, let’s look at these points in greater depth to ensure that not only do we attract chaffinches but they keep coming back. They inhabit the U.K. year round and are not migratory as our climate is surprisingly warm enough for them. They are very particular about what they eat and where they eat it so if we want to attract chaffinches into the garden then we have to play by their rules. Chaffinches are delicate, from tip to tail they are less than six inches long and weigh between 18 and 29 grams. 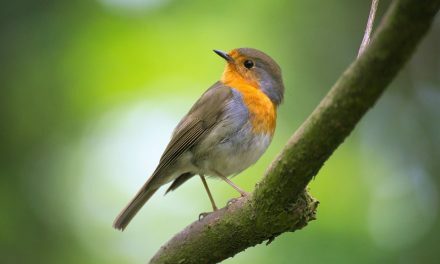 The male bird has more colours to his plumage than any other garden bird. He is stunning with a vivid blue cap, dark wings and tail and a rusty red underbelly that he reveals in flight. Both he and the female have impressive markings on their wings, two white bars, yet while still beautiful, her colouring is much duller. It is little wonder that we love these birds in our gardens, the song of the chaffinch is spectacular, a high pitched pulsing sound that cascades down to a very distinctive flourish. I’m reliably informed these are the lyrics..sing along! He can repeat this five or six times a minute and up to three thousand times a day! The trill differs by location too, much like us, his dialect changes slightly from region to region! Brummie and Geordie birds, who would have thought?! Attracting chaffinches into your garden is rewarding and well worth going the extra mile in preparation for their arrival. Be aware, he is a very shy creature and likes sheltered areas, preferably up high where the female makes their nest. He adores honeysuckle berries so consider planting some next to a tall tree. This ensures that he is concealed yet can safely dart to get the delicacy. Consider a high bird table, not in the open, this will make him feel less vulnerable to predators. A friend mentioned that he just extended the stand of his bird table by two feet, meaning the top platform was at eight feet, and within days he was getting visited by groups of chaffinches. Sunflower hearts that have been hung high in a designated bird feeder work wonders. Full of good fats, vitamins and proteins these are of such high nutritional value yet small and easy to carry. Meaning he has to eat few to gain maximum impact. The fact that they have already had their hard shell removed means they are easily digestible for the young too. Just like the sunflower hearts they are high in protein, also high calcium levels keeps their bones and beaks strong. These are a chaffinch’s superfood and they will keep returning for these tiny black seeds. Now this climbing plant offers a double whammy. Not only are the juicy berries a tasty treat but in the summer when the plant is in full flower, insects, worms and bugs are attracted to it and they are a further source of sustenance for the bird. Suet blocks, crushed peanuts and meal worms are eye-catching and tempting for hungry chaffinches. Soaking the mealworms in water to rehydrate them not only makes them look more appealing but gives him a valuable source of fluid too. A well-stocked yet secluded feeding area is exactly what he is searching for. Certain plants are very attractive to caterpillars, the main food that a chaffinch feeds its young. Consider planting these near climbing plants and trees, hopefully encouraging them into the chaffinch’s lair! Borage, fennel, hollyhocks and lupine near the base of trees work well, and if you happen to be a less efficient gardener then thistles and nettles attract them too! Think of hanging a bird box high in a tree, one with a particularly small entrance hole, a safe haven where the chaffinch feels no vulnerability to predators. 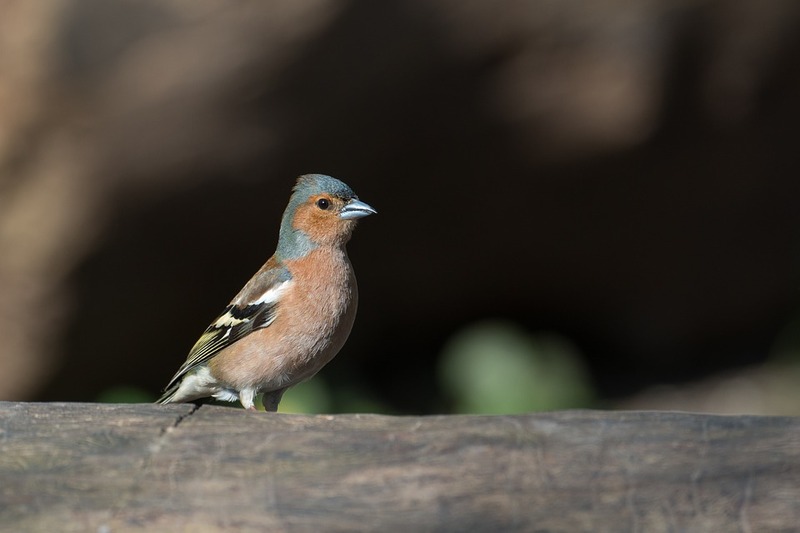 Invest in enclosed feeders, if there is no threat from pigeons and other large birds then the chaffinch is more likely to eat at your feeding station. Think of planting climbers, they look stunning and offer hiding places for him, surely a win win situation? I hope you have success trying some of these options and hopefully you can relax in the garden in the warm summer sun, glass of wine in hand and listening to the tuneful song of the pretty chaffinch. You could even join in – I’ve provided the song sheet! NextDo Starlings Mate for Life?